Yesterday i cleared the installation and configuration exam of CRM 2011. There were 74 questions in it and 140 minutes to answer them. Most of the questions were on system requirements while installing Microsoft Dynamics CRM 2011, Outlook, Email Router. If we remember the below points we can easily answer around 40 questions correctly. Windows Server 2008 or later 64-bit editions. Microsoft Exchange 2003, 2007, 2010, Online. POP3 complaint server for incoming. Windows XP Professional SP3, Professional x64 SP2, Tablet PC SP3 Edition. Windows Small Business Server Premium, Standard – RTM. SQL Server 2008 Standard, Enterprise, Datacenter, Developer all SP1. Microsoft Dynamics Reporting Extensions setup must be run on a computer that has SQL Server 2008 Reporting Services installed. Microsoft Dynamics CRM Report Authoring Extension must be installed on the computer where SQL Server is installed. Understand how Claim Based Authentication and IFD are configured for Microsoft Dynamics CRM 2011. Read about permission required while installing CRM 2011. Minimum permissions required for Microsoft Dynamics CRM Setup, services, and components. To remember the above points i also created a small mind map as well. The MindMap approach was excellent – very well thought out. I’ll be putting it to the test tomorrow when I sit for MB2-867. I was overwhelmed by all of the requirements scattered throughout Microsoft’s training materials. This summed up everything in one place…Well done! Previous Previous post: Error “A Microsoft Dynamic CRM service has been disabled or has not yet started” while configuring Microsoft Dynamics CRM for Outlook. 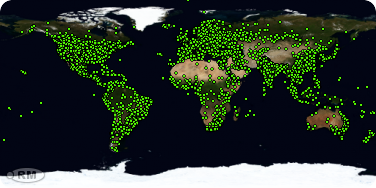 Next Next post: Used HTML 5 Geolocation API with Bing Map.